Allegro train, Buy Allegro train tickets online quickly and easily. 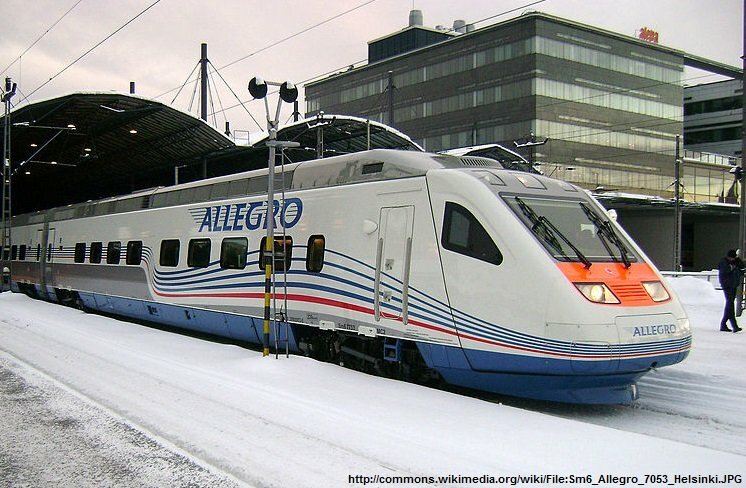 The high-speed Allegro is equipped with safety features designed to work on both the Finnish and Russian railway networks. 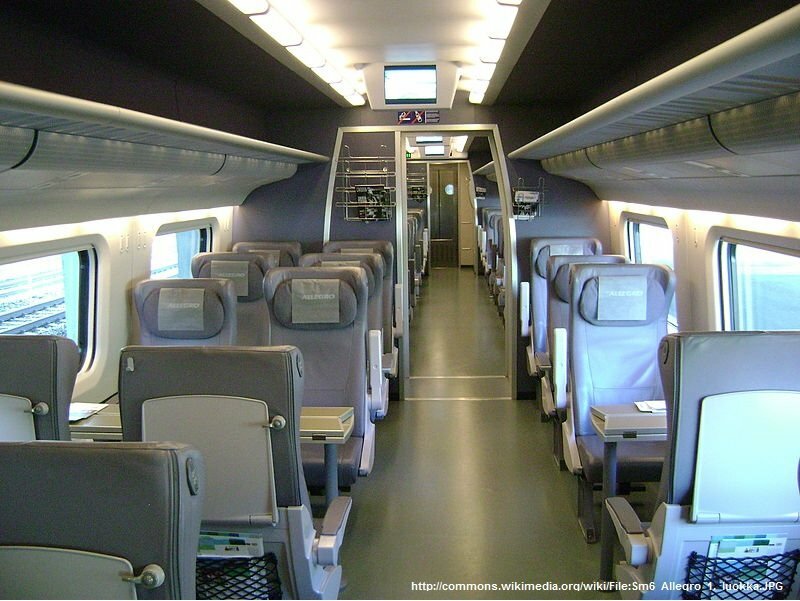 The train consists of 7 carriages and has a maximum operating speed of 220 kph. Each individual seat on the Allegro is equipped with a folding table, adjustable back rest, individual lighting, a socket (220V) between seats, a place for coats, a footrest and storage pockets for newspapers and magazines. 1st and 2nd class seats are available on the train. 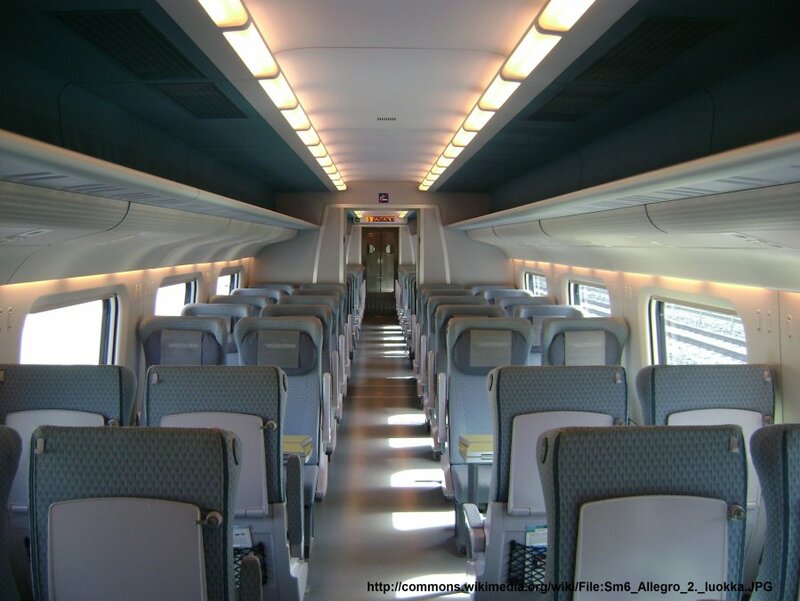 1st class seats are made from leather and arranged in two rows (1+2). 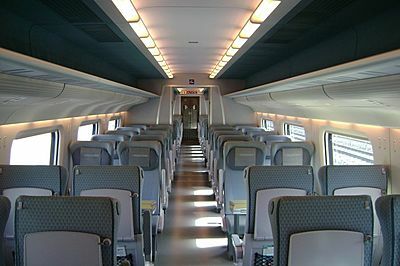 The price of a first class ticket includes use of a self-service zone with tea and coffee, newspapers and magazines, radio headphones for listening. 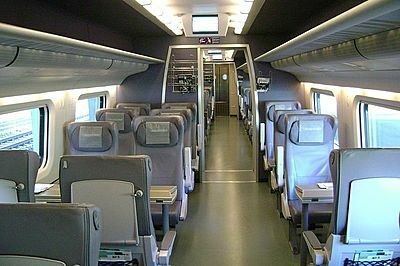 2nd class seats are arranged in two rows with two seats on each side. The Allegro dining car seats 38 passengers and has three bars for 12 people. The restaurant offers passengers drinks, snacks and hot meals. There are two carriages with special features: Carriage #7 has a playground for children and Carriage #2 has spaces for handicapped people. Smoking is not allowed on board. To save time, border crossing formalities are carried out in the train during the trip.